The Facts of Jewish Diversity (Beyond 2) | "A Song Every Day"
Posted on April 6, 2015 by vspatz	in Community, Counting the omer, Ethics, Passover, racism and tagged Be'chol Lashon, Bnai Brith, counting-the-omer, Jews for Racial and Economic Justice, Jews United for Justice, Michael Twitty, omer. Continuing the theme of “not knowing” as a form of callous, insensitive “moral deficiency,” one we seek to leave behind this Passover season, let’s explore some facts about diversity in the Jewish community. Upwards of 435,000 Jews — possibly as many as 400,000 in the New York City area alone — identify (also) as African American, Asian, Latino/Hispanic, Native American, or mixed-race, for a total of about 435,000 individuals. (See Be’chol Lashon; Bnai Brith). And yet, the assumption in too many of our communities remains — even if many of us believe, or would like to believe, otherwise — that Jews mostly look like a Central Casting crew of Eastern European Ashkenazim. Most of us believe our communities are inclusive and welcoming, but the experience of many Jews belies this. At Jews United for Justice‘s recent community seder, Michael Twitty of Afroculinaria spoke of fellow Jews demanding to be told how he came to be there, assuming he would want to share the particulars of his spiritual journey with complete strangers. His story surprised many who assume the relative diversity in the DC area would preclude such behavior, but such stories are common to Jews of color. We have much work to do, to make even our more diversity-assuming Jewish communities welcoming to all. Jews of color are diverse, multihued and proud of it — proud of our Jewishness and proud of our Blackness. But though our lives are joyous and full, racism forces us down a narrow treacherous path. On the one hand we experience the same oppression that afflicts all people of color in America — racism targets us, our family members, and our friends. On the other hand, the very community that we would turn to for belonging and solidarity — our Jewish community doesn’t acknowledge our experience. Be’chol Lashon offers Diversity Training and Community Conversations through its Race Project. 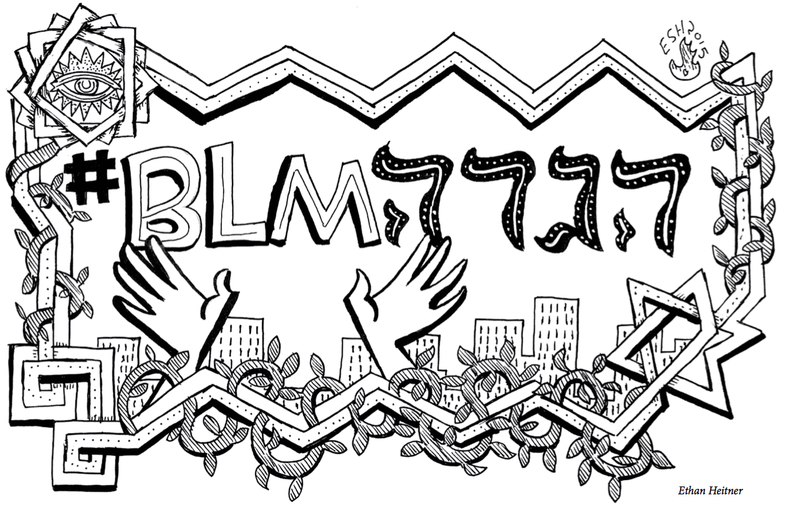 Jews for Racial and Economic Justice and several other organizations offer pertinent learning opportunities. How many of our communities are in need of such organized work? One way to make this Omer count is to begin necessary conversations to ensure that all experiences within our Jewish communities are acknowledged and honored. We counted two on the evening of April 5. Today is day three of the Omer. are surely to be praised. is not the entirety of the tale. yet touched by the journey. from narrow spaces to expanse? 9. “Maggid” by Lisa Greene was found in The Women’s Seder Sourcebook.